A website is usually your client's first impression of you and your business. Needless to say, you want it to be a good one! You want to make sure your website is beautifully designed, the content is organized and tells the story you want to convey, and the look and feel is a reflection of your business and connects with the audience you're trying to reach. If you have any questions, feel free to reach out at amy@wildernutrition.com! 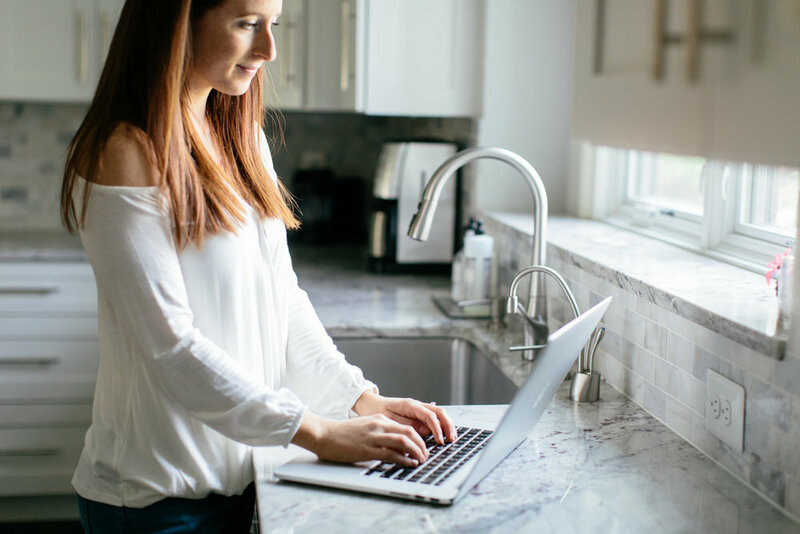 Building a Healthy Website is a completely self-paced, online course that walks you step-by-step through the entire process of building a website for your nutrition business. From content development to page layout and design, to implementing functionality that allows you to schedule sessions with clients and accept payment straight from your website, and all of the technical stuff that practically gives you adrenal fatigue just thinking about like setting up your email, transferring or setting up a domain, transferring old blog content to your new website, and SO much more. This is a great option for people who want in-depth guidance and creative oversight/freedom over their website, but who don’t want to shell out more than $1,000 to have a website designer help them. In Building a Healthy Website, you have an experienced website designer and content developer walk you through each and every step of the process, but for a fraction of the price tag of having one do it for you. Having an optimized homepage is key. When someone visits your website, this is the first page they land on, so you want to be sure you’re putting your best foot forward. I will review your homepage and make suggestions for placement of navigation blocks/menus, promotional blocks, ads, social media account feeds, blog, etc. Possibly even more important than your homepage is your about page, as this is the most frequently visited page on your website! People want to know who you are before they decide to work with you, so ensuring that you’re making the impression you want to be making is key! I will review your current about page and make suggestions and re-writes as needed. The organization, or architecture, of your website is critical for making sure your audience can find what they’re looking for. I will review your current website’s architecture and make suggestions on how to improve or optimize it for easy navigation. This does not include content review, just organization of the content you have. Working together, we’ll determine the best platform for your particular website (either Squarespace or Wordpress) based on your business and your particular needs. Then, you will provide me with the starting content (text and images) you’d like to include, and I will build your site, start-to-finish, and even set up your domain and hosting for you if you don’t already have them. We’ll make sure that your website reflects your branding (logo, colors, general look and feel), and I’ll make very general suggestions as to the content that is typically seen on Nutritionist or NTPs’ websites. This package includes everything from the WEBSITE DESIGN & CREATION with the addition of content creation. Working together, I’ll get a sense for your business, your services, and what you want out of the website, and I will write all of the starting content. Photography is not included in the content creation process, but I will include any photos you provide and would like to use!